Until the end of Cyber Monday (11:59 PM November 29, 2010), request Cyber Monday shipping by email and get shipping of any item, pre-publication, drop ship and in stock only (US delivery) for $1.00 each – up to $10.00 per item off! Don’t forget to list your order in the email. If you do not request special Cyber Monday shipping, but use the standard shopping cart features on this site, you will be charged standard shipping. Note Cyber Monday on the order and receive the balance in store credit. Thanks to everyone who was interested in this year’s Small Business Saturday. From now, until the end of Small Business Saturday (11:59 PM November 27, 2010), receive a free ebook, “Family History Or Genealogy For Pleasure and Profit” along with several other bonus files. with every qualified* SBS PayPal Order. This may be combined with any of our new Christmas Sale offerings and any other discounts. To qualify for SBS Special Offer, you must email our address requesting SBS PayPal billing. Your billing will arrive at your specified email address before the end of Sunday afternoon. Full qualification is complete when you authorize PayPal payment before the end of Cyber Monday (11:59 PM November 29, 2010). Don’t forget to note other specials such as pre-publication pricing, Christmas Sale, etc. All standard orders are subject to shipping and handling: $11.00 for first title/item and $2.00 each additional. Orders of “G” or “R” books sent Priority USPS unless otherwise noted or requested. “AD” orders not guaranteed a carrier or class. Local pick ups are always free of s&h, by arrangement. Whether you are a US household that celebrates Thanksgiving or not – have a great day tomorrow! Many consider tomorrow to kick off the end of the year Holiday Season. Enjoy the day. 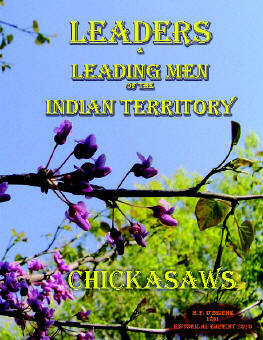 Another great historical reprint will be published this month: Leaders and Leading Men of the Indian Territory – Chickasaws, by H. P. O’Beirne, Historical Reprint, December 2010. 154 pages, 8.5×11″, softbound book. This work was originally printed as part of a Choctaw and Chickasaw volume in a smaller size format. This new edition contains the original pages, digitally modified for the larger book size and readability. G3503-$20.00 Remember, unless you pick yours up, we charge $11.00 S&H. Contact us for more details. The corrected manuscript has now been finalized however, we do not have a delivery date set at this time. This offer, good through the middle of January, is nearly $40.00 off the older edition retail price. All orders are subject to standard shipping and handling: $11.00 for first title/item and $2.00 each additional. Orders of “R” books sent Priority USPS unless otherwise noted or requested. Local pick ups are always free of s&h, by arrangement. Early pricing through the first of the year is $150.00 per person. Registration will remain open until space is filled, or October 1, 2011 – whichever comes first. 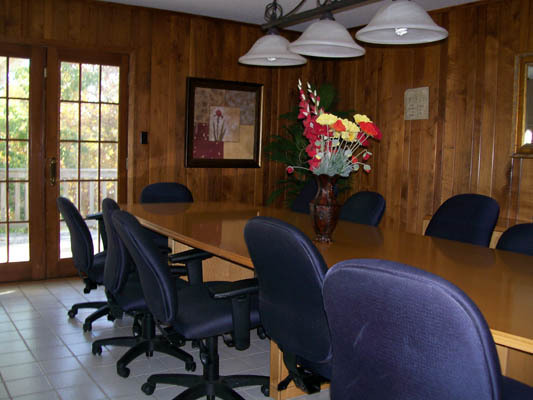 If space is available after January 1, 2011, the package cost is $175.00. Class only registration will be open from Novem…ber 15, 2010 until October 1, 2011 (or until space fills) – cost and schedule TBA. Payments may be arranged.